Available in 5 sizes, 260mm, 290mm, 310mm and 340mm high. Gold plastic cup with star cut outs, green plastic tubing mounted onto a heavy cream marble base. 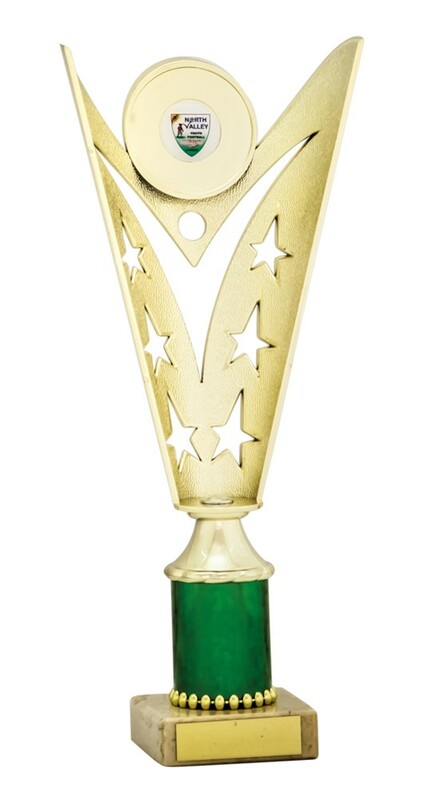 Perfect trophies for Dance Competitions, School Achievements and Sports Awards. We have 6 different colour combinations to choose from in our shop.